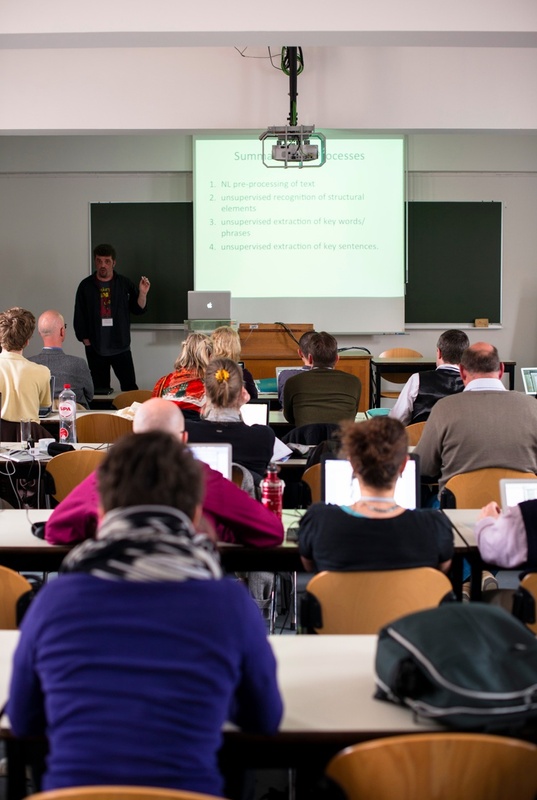 On 8 April I co-chaired the 1st International Workshop on Discourse-centric Learning Analytics, which took in place with the third Learning Analytics and Knowledge conference (LAK13) in Leuven, Belgium. The workshop began with a keynote by David Williamson Shaffer on ‘How Research into Epistemics Might Inform DCLA’. This was followed by six papers – one of which I had co-authored. The workshop concluded with a discussion session. The event was liveblogged by Doug Clow. This entry was posted on April 15, 2013, 2:59 pm and is filed under Analytics, Chairing and co-chairing, Conferences, Papers. You can follow any responses to this entry through RSS 2.0. You can leave a response, or trackback from your own site.